While the official name of the nation is the Islamic Republic of Pakistan, generally the country has been referred to as Pakistan since 1971. Identification. As part of India's independence from Great Britain in 1947, a partition took part of their land and created Pakistan as a separate Islamic nation. It is estimated that approximately 95 percent of the population are Muslim, but members of several minority religions live there, including some Hindus, Christians, Parsis, Sikhs, and Buddhists. Although the modern nation of Pakistan was but fifty-three years old in 2000, it has territorial areas and tribal populations whose histories date back many centuries; thus Pakistan has both an ancient and a relatively new identity. Location and Geography. Pakistan is in South Asia and is 339,697 square miles (879,815 square kilometers) in area. It was created from what had been the northwest side of India. All of the country except the southern portion is landlocked, with Afghanistan to the northwest, Jammu and Kashmir to the northeast, India to the east and southeast, and Iran to the west. In the southern portion, along the shores of the city of Karachi, which was the original capital when the nation was formed in l947, is the Arabian Sea. Karachi is well known for its shorelines. Most of the northern section of the country consists of mountains and also the famous Khyber Pass, whose history goes back several thousand years. It is in this northern section where most of the ancient tribes still live and where many ancient tribal cultures and customs still exist. 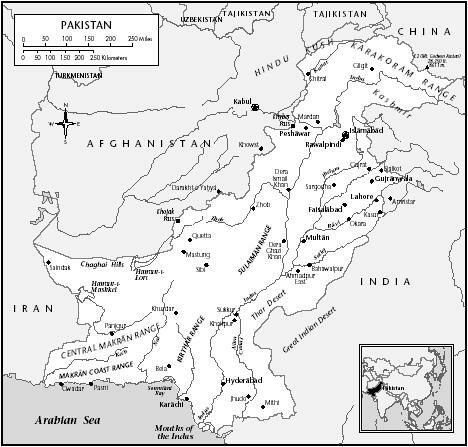 Pakistan consists of several provinces, including Punjab, Sind, North-West Frontier, Baluchistan, and the Federally Administered Tribal Areas (FATA). The city of Islamabad, which is centrally located in the country, was officially named the capital of Pakistan in 1961, and construction began on government buildings in addition to others. Islamabad became the active capital in 1966. In addition to modern government buildings it also features a wide variety of modern hotels, an international airport, and the nearby famous ancient city of Rawalpindi. In addition to being known for a number of mountains, including K-2, which is the second-highest mountain in world, Pakistan also has several lakes and rivers, including the Indus River, which is 1,800 miles (2,896 kilometers) long. Pakistan also has several deserts, in Punjab and Sind. Pakistan is also home to Taxila, the oldest known university in the world. In the north, leading from China, through Tammu and Kashmir, is a famous ancient silk road. Pakistan is diverse. There are snowcapped mountains in the north, sunny beaches in the south, and a wide variety of geographically and culturally interesting sites elsewhere. for longevity, which they claim is because of diet and way of life. 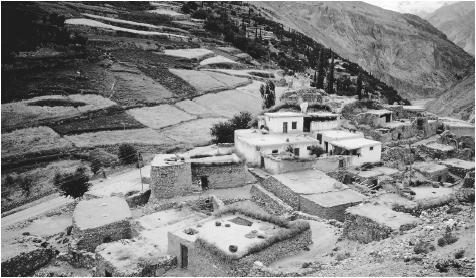 The people of Hunza Valley are Muslims and also are believed to be descendants of soldiers of Alexander the Great. In North-West Frontier Province is Kaghan Valley, which is bounded on the west by Swat Valley, on the north by Gilgit, and on the east by Azad Kashmir. The people of Kaghan Valley are Muslim-Pathans as well as Kohistanis and Gujars. Shardu Valley is the capital of the district of Baltistan and is known as "Little Tibet" because the lifestyle there is similar to that in Tibet itself. The people of each of these valley areas are well known for their tribal cultures, handicrafts, and for fascinating clothing, most of which is woven and handmade there and unique to their particular area. Linguistic Affiliation. The official language of Pakistan is Urdu, but most public officials, people, and others in Pakistan also speak English; English is referred to as the informal official language of Pakistan. Urdu was created by combining the languages of early invaders and settlers, including Arabic, Persian, and Turkish. The spoken form of Urdu is the same as that of Hindi but it is written in a different script than Hindi. While Urdu and English are prevalent throughout Pakistan, a number of other languages are spoken in different valleys and areas. These include the Punjaki, Sindhi, Pushto, Balochi, Brahvi, Saraiki, and Hindko dialects, among others. Symbolism. The design of Pakistan's flag was officially adopted by the country's Constituent Assembly in July 1947, it was flown for the first time on their independence day, 14 August l947. The flag was designed by Ali Jinnah, the man acclaimed as the founder of Pakistan. There is a thick white strip on the left side of the flag; the rest of the flag has a dark green background with a white crescent and a five-pointed star centered on it. The white represents peace, and the dark green represents prosperity. The crescent stands for progress, and the star stands for light, guidance, and knowledge. Pakistan also has a national emblem. In the middle of a circled wreath of jasmine flowers is a shield that has four sections, each of which shows a major product of the country from when the country was created. One section shows cotton, another shows wheat, one tea, and one jute. Above the four sections are the crescent and star, as on the national flag. On a scroll beneath the wreath is written in Urdu "Faith, Unity, Discipline." Emergence of the Nation. For many years India sought independence from Great Britain. During most of those years the Muslim League of India was also striving to establish an independent Islamic nation. The Muslim leader was Ali Jinnah from as early as 1916; in 1940 he began advocating and working for a separate Muslim state. When the British finally agreed to India's independence and withdrew in 1947, Pakistan became a Muslim nation, with Ali Jinnah as its first governor-general. Originally it was divided into two parts. The nation now called Pakistan was then called West Pakistan, and on the opposite side of India, some 1,000 miles (1,609 kilometers) away, was another Muslim area, designated East Pakistan. In 1956 Pakistan became a republic. In 1971 East Pakistan waged a successful war of independence from West Pakistan and became the independent nation of Bangladesh. While the history of Pakistan as an independent nation dates only to 1947, the history of the territory it encompasses dates back many thousands of years, during the period when the territory was a portion of the Indian subcontinent. 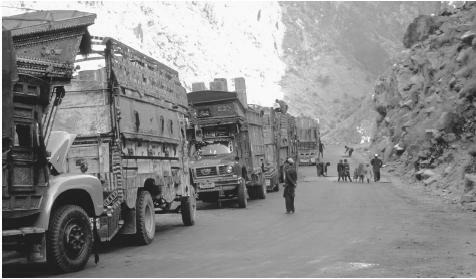 In addition, the land is home to the famous Khyber Pass, which is the route that many invaders into India used. These include Mogul invaders and Alexander the Great. Many centuries ago a number of Buddhists also used that northern section as a route, so Pakistan today has many interesting Buddhist sites and historical notes as part of its history. Punjab is also a portion of the country; it was the home of the founder of the Sikh religion, and it continues to play a significant role in Pakistan. Lines of demarcation between India and Pakistan in northern border areas are unclear in places or in dispute, and controversy continues to surround these lines. National Identity. The national identity of Pakistan today is that of an Islamic nation; it was created as such. However, because the territory that is now Pakistan has a history that goes back several thousand years, the area has a history that forms part of the present identity of Pakistan. That is one of the reasons why both residents and visitors find the relatively young nation of Pakistan historically interesting and why the national identity includes many sites and stories that are centuries older than the nation itself. Ethnic Relations. There are at least five ethnic groups within Pakistan. In general, there are not continuous or frequent problems between the different ethnic groups other than ethnic tensions in Sind, which occur somewhat regularly. 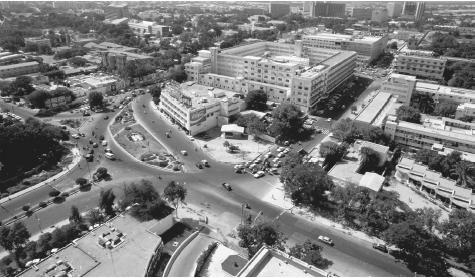 Because of the relative newness (1966) of the capital city of Islamabad, it features modern architecture arrayed under a master plan. In addition to modern capital buildings, Islamabad is also home to the famous Shah Faisal Mosque, which is so large that the prayer hall can accommodate ten thousand persons, while verandas and porticoes can hold more than twenty-four thousand worshipers. It also has a courtyard that has enough space for forty thousand people. Islamabad also has a sports complex, art galleries, a museum of natural history, and four universities. Other sites in and near Islamabad include Rawal Lake; the Rose and Jasmine Garden, the Murghzar Mini Zoo and Children's Park; and the Shakarparian Hills, whose terraced garden features views of other hills, Rawal Lake, and the cities of Rawalpindi and Islamabad. The ancient city of Rawalpindi, on the border of Islamabad, has a history that dates back three thousand years. While many new modern buildings have been added to this city, it has retained much of its historical look and is well known for its bazaars that specialize in handicrafts. Rawalpindi is home to Linquat Memorial Hall with a large auditorium and library; Ayub National Park; and the Rawalpindi Golf Course, which was completed in 1926 but is still in regular use. Another well-known urban area is Lahore, founded four thousand years ago. Lahore was the cultural center of the Mogul Empire, which glorified it with palaces, gardens, and mosques. It is the second-largest city in Pakistan and the capital of Punjab. Some of its historical sites include the Royal Fort, which was built in 1566 by Akbar the Great, and Wazir Khan's mosque, which was built in 1683 and is still considered one of the most beautiful mosques in all of South Asia. Another ancient but still famous site in Lahore is the Shalimar Gardens, which were originally laid out in 1642 by Mogul emperor Shah-Jehan. The garden is surrounded by high walls and a watchtower at each of the four corners. The garden is used as the site of regular special state receptions. Lahore is also home to several other well-known mosques, museums, and parks. A more recent historical site in Lahore is the Minar-e-Pakistan, where a resolution was passed in 1940 demanding creation of a separate homeland for the Muslims. The minar is an estimated 197 feet (60 meters) high. Another equally well-known urban area is the city of Karachi, which was the first capital of Pakistan. Karachi is in the south of the nation and in addition to being a modern city on the shores of the Arabian Sea, it has a number of interesting sites, including the Masjid-e-Tooba which is said to be the largest single-dome mosque, and several art galleries and bazaars. It has a wide variety of water sports and remains the center of commerce and industry. There are a number of other urban areas throughout Pakistan, but one of the best known is the city of Peshawar, which is the northernmost major city and is home to the gateway to the Khyber Pass. Peshawar is a city of Pathan tribals who are also Muslims. Alexander the Great and parts of his army stayed in this city for forty days in 327 B.C.E. Balahissar Fort is on both the eastern and western approaches to the city, and it is from near here that one can take a train along the mountain routes of the Khyber Pass. While the city is centuries old, the modern Peshawar is well known for its bazaars and for several colleges and a university. Food in Daily Life. Because at least 95 percent of the Pakistani population is Muslim, there are two food customs that are followed almost universally. One is that Muslims do not eat pork (therefore beef, chicken, lamb, and fish are the basic foods), and the other is that during the month of Ramadan, fasting is a daily activity. Spices and curry are an essential part of any Pakistani recipe. The most prevalent spices include chili powder, tumeric, garlic, paprika, black and red pepper, cumin seed, bay leaf, coriander, cardamom, cloves, ginger, cinnamon, saffron, nutmeg, and poppy seeds, among others. Using yogurt to marinate meats is another typical recipe. Because of the use of spices and curry for the main dish, the usual side dish is plain rice. Lentils are another common specialty. The food in the south is more exotic and highly spiced, while that in the north often features plain barbecued meat as the main dish. Usually any meat, fowl, or seafood is curried, and frying is the typical method of cooking. Ghee, which is clarified butter, is another commonly used recipe item and is often used for frying. Wheat and flour products are considered mainstays of the daily diet, and the use of pickles, chutneys, preserves, and sauces along with curried meats, seafood, vegetables, and lentils and are why Pakistani cuisine has such a unique flavor. Green tea is the typical drink served at all meals. Food Customs at Ceremonial Occasions. Fasting is an important part of the Muslim observance of Ramadan, but food does play a role on many other occasions. One such event is the Eid-ul-Azha (Feast of Sacrifice) in the last month of the Muslim calendar, commemorating the occasion when the prophet Abraham was about to sacrifice his son in response to an order from God. Muslims who can afford it are required to sacrifice a sheep, goat, camel, or cow symbolizing Abraham's submission to God. The meat of the sacrificed animal is divided into three equal parts, with the first donated to the poor, the second given to relatives and/or friends, and the third cooked at the home of the person who made the sacrifice. Eating the meat is part of the festival celebration activity. The important religious festival Shab-I-Barat involves a special type of pudding known as halwa and unleavened bread known as nan being distributed among the poor. The halwa and nan dishes are specially decorated with silver or gold leaves and also are sent to relatives and neighbors. 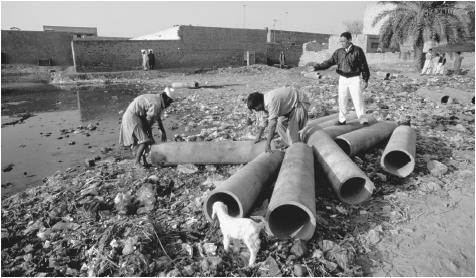 Workers on a community sanitation project examine the pipes for a new sewer in Faisalabad. Food also plays a role in the celebration of the end of the Ramadan fasting period. This starts with a special breakfast of sheer kharma (a sweet dish), which is vermicelli cooked in milk with dried dates, raisins, almonds, and other nuts. In addition, crowds hurry to local bazaars to purchase fruit, meat, and sweets as well as new clothes and jewelry. Sweets are distributed as part of the celebration of the birth of a new baby in a family, and an animal sacrificial offering is also made—one goat for a girl and two for a boy, with the animal meat distributed among the poor or among friends and relatives. Food also is involved in a ceremony celebrating a child becoming six or seven months old. Sisters and relatives place rice pudding in the infant's mouth using a silver spoon, and a drop of chicken broth is also put in the mouth. After this ceremony the adults then hold an elaborate dinner concluded with a special dessert called kheer. Basic Economy. Pakistan is a poor country and its economic outlook is bleak. It relies heavily on foreign loans and grants, and debt obligations take nearly 50 percent of the government's expenditures. The average per capita income per person in Pakistan is estimated at $460 (U.S.). A large number of Pakistanis, estimated at 35 percent, live below the poverty line. Land Tenure and Property. An estimated 54.69 million acres (22.14 million hectares) of land are used for agriculture. The major crops are cotton, wheat, rice, and sugarcane. A large amount of land in Pakistan has archaeological sites, such as Moenjo Daro, Harappa, Taxila, Kot Dijji, and Mehr Garh. Commercial Activities. A large percentage of the commercial activities include the sale of handicraft items such as the carpets for which Pakistan is well known. Major Industries. Major industries of Pakistan include textiles, cement, fertilizer, steel, sugar, electric goods, and shipbuilding. Trade. Pakistan's major exports include cotton, textile goods, rice, leather items, carpets, sports goods, fruit, and handicrafts. Major imports include industrial equipment, vehicles, iron ore, petroleum, and edible oil. Trade partners include the United States, Hong Kong, Japan, Germany, the United Kingdom, and the United Arab Emirates. A caravan along the Silk Road. Division of Labor. Forty-eight percent of workers are in the service sector, 27 percent are in industry, and 25 percent are in agriculture. Classes and Castes. There is no caste system in Pakistan. There are high-income, middle-income and a large number of low-income persons throughout the country. Locale makes an important difference in the quality of life; a low-income person in an urban area has more problems than one living in a tribal, mountainous area. Symbols of Social Stratification. There have been and continue to be a number of social development shortcomings in Pakistan, but in recognition of them, the government in 1992–1993 initiated the Social Action Program (SAP) to make social development and social services available to all levels of the Pakistanis. Reports show that while some had benefited, the rural people who were meant to benefit mostly did not. Some of the program's expenditures were for elementary education, primary health, welfare, and rural water supply and sanitation. It is believed that many people do not understand the purpose and scope of the SAP and that substantial changes must be made in the program if it is to be successful. Government. The government of Pakistan consists of an elected prime minister, a president, and a Parliament that consists of the Senate (Upper House) and the National Assembly (Lower House). There are 57 members of the Senate and 217 members of the National Assembly. The prime minister is the head of government, and the president, who is elected by the legislature, is the head of state. There are also ministers in charge of government divisions such as education and tourism. These are appointed by the prime minister. They in turn appoint the governors of the different states within the country. Also appointed by the prime minister are the chief justices of the Supreme Court. Leadership and Political Officials. Each individual state within the country has a governor, and each city has its own mayor. Additionally, most tribal groups have a head chief. Women gathered together at a wedding in Islamabad. Muslim marriages unite not only a couple but also their families. working toward rehabilitation of drug users and ending drug use. Military Activity. Branches of the military are the army, navy, air force, civil armed forces, and national guard. The military of Pakistan consists of members from all ethnic groups within the country. Their duties have included participation in United Nations (UN) peacekeeping and nation-building activities in different areas of the world. Soldiers in the Pakistani Army are regular participants in the long-running dispute, sometimes resulting in violence, with India regarding sovereignty over Kashmir. Military activity in Pakistan has included four military coups. After those in 1955, 1969, 1977, the government was returned to civilian control via popular election. The most recent coup took place in October 1999, and toward the end of 2000 a general was still acting as the head of the government, although he has promised a democratic election for a new prime minister in the near future. There are a number of nongovernmental organizations (NGOs) within Pakistan, including the Aurat and Behood women's organizations, as well as international Lions and Rotary clubs, to which a large number of men belong. The World Bank and its various agencies have been active in Pakistan since 1952. The Aga Khan Rural Support Program has worked to build up village organizations with separate groups for men and women and then, through their groups, to launch a number of development activities. The Orange Pilot Project, headquartered in Karachi, has been active in urban development, including working to improve one of Karachi's worst slum areas, with the first focus being on sanitation, followed by a range of community development activities. Division of Labor by Gender. The majority of Pakistani women are homemakers, and men are generally referred to as the breadwinners. The largest percentage of working women in Pakistan are nurses or teachers. Women are represented in government as ministers in Parliament and ambassadors. Benazir Bhutto was the first female prime minister and served from 1988 to 1990. The Relative Status of Women and Men. The women of Pakistan are regular voters as are the men, and women also are regular attendees at colleges. Islam gives women rights to child custody, to alimony, and to inheritance, and they also have the right to conduct business and enter any profession. Women are engaged in agriculture production and the services sector. Women judges have been appointed to four high courts as well as several lower courts and a 10 percent quota was established for women to become police officers. There are growing numbers of violent crimes against or involving women and the government has introduced the concept of women police stations, which have been opened in Rawalpindi, Karachi, and Abbottabad in the North West Frontier. A number of computer training centers have been established for women and the government has opened "women development centers" that specialize in training community development workers in family planning, hygiene, sanitation, adult literacy, community organization, and legal rights. Marriage. One form of a Muslim marriage involves a nikah , a formal legal document signed by the bride and groom in front of several witnesses; this establishes that the couple is legally married. There are other Muslim marriage traditions as well. One includes the mayun or lagan which takes place three or four days before the marriage and starts with the bride retiring to a secluded area of her home. On the day before the marriage there is a menhdi ceremony, when the bride's hands and feet are painted with henna. When the marriage ceremony takes place it is required that at least two witnesses be there, and all the guests offer a short prayer for the success of the marriage. After the ceremony, dried dates are distributed to the guests. Wedding customs vary somewhat among provinces, but the Muslim marriage is seen as uniting both families as well as the couple. Each tribal group also has certain ceremonies that are an important part of the marriages within that group. Inheritance. Women have inheritance rights in Pakistan, so that inheritance benefits can go to women and children after the death of the husband and father. Kin Groups. A Muslim marriage is seen as uniting the families of both the bride and groom, so the kin group is expanded after a marriage. In some tribes there can be neither a cross-cultural marriage nor a dual ethnic one, so therefore the kin groups are and basically remain identical ethnically and culturally. Infant Care. The addition of a new baby to a Muslim family is seen as a great blessing and there are a wide variety of ceremonies that take place both at the birth and throughout the different stages of infancy. To help families with infant care there are a number of child health centers throughout the country. Child Rearing and Education. Most Pakistani families consider it the privilege of the grandfather to name the baby. Another tradition is that the first garment for a baby's layette is made from an old shirt that had belonged to the grandfather. The child is usually named within forty days after birth and thus is generally known by a nickname until then. A baby boy's hair is shaved off, with the belief that this will then ensure thick growth throughout life. The shorn hair is weighed and balanced against silver, and that silver is then given to the poor. In February 1998 the prime minister announced a draft for a new education policy from 1998 to 2010, to increase the number of elementary and secondary schools to meet the projected enrollment of twelve million children, including about six million female children in the primary schools by 2003. The draft also suggested establishment of community-based nonformal schools to fill the school gap and to help minimize the cost of primary schools. The new education policy also proposed training about thirty-six thousand teachers each year from 1998 to 2003 to maintain a pupil-teacher ratio of forty to one, with most new teachers to be females. A reduction in military spending was also proposed so funds could be channeled toward countrywide primary education for all children. Higher Education. Higher education is seen as having an important role in preparing an individual for a successful career. There are nearly one thousand colleges and universities located throughout almost the entire country. Houses in Baltit. Pakistan's landscape includes snowcapped mountains and valleys such as this, as well as sunny beaches. founded by the prophet Muhammad in the seventh century, when, according to Islamic belief, he received messages from God and wrote them down in what became the Qur'an, the Islamic book that instructs Muslims on how to conduct their lives. Rituals and Holy Places. One of the prevalent rituals for Muslims is the month of Ramadan, during which time they are required to fast from dawn to sunset (this is not required of very young children, the elderly, or pregnant women). Ramadan is also a time when Muslims thank Allah for his blessings during the past year. An additional requirement during Ramadan is that all Muslims must help the less fortunate with both cash and food gifts. The Eid, or day ending Ramadan, starts with an elaborate breakfast; then Muslims go to a mosque or special park for prayer. An equally important Muslim celebration is Eid-I-Milad-un-Nabi, the birth of the prophet Muhammad, on the twelfth day of Rabi-uh-Awwal, which is the third month of the Muslim calendar. In addition to special gatherings in mosques, where the story of the life and mission of Muhammad is told, large groups of Muslims parade through the streets singing praise to Muhammad. Even private homes are decorated (as are the mosques) in celebration and praise of Muhammad. Another important Muslim religious festival is Shab-I-Barat, which is held on the fourteenth day of Shaban, the eighth month of the Muslim year. The belief is that on this day the lives and fortunes of mankind are registered in Heaven for the coming year. During Muharram, which is the first month of the Muslim calendar, the martyrdom of Imam Husain, the grandson of Muhammad, is commemorated. For the first nine days of the month the death is recounted, and then on the tenth day, which is the day he was murdered, there are barefoot processions with persons carrying banners relating to the tragedy of his death. Other religions in Pakistan also have special festivals/rituals and holidays, with Christmas and Easter being the special ones of the 750,000 Pakistani Christians. Christmas coincides with the birthday of the Ali Jinnah, acclaimed as Pakistan's founder, so both Muslims and Christians celebrate on this day. The main festival of the Buddhist community is Baisakhi Purnima, the day on which Buddha was born; it is the same calendar date when later in his life he is believed to have attained his great wisdom of enlightenment. Parsi residents of Pakistan celebrate their New Year (Naoroz) on 21 March. Approximately fifty-five hundred Parsis live near Karachi. View over central Karachi, Pakistan's first capital. Set on the shore of the Arabian Sea, it is a center of commerce and industry. Pakistani Hindus also have a number of festivals; the two most special ones are Diwali (Festival of Lights) and Holi (Festival of Colors). The Festival of Lights is held in Lahore at the Shalimar Gardens, which are filled with multicolored lights and where folk music and dances are performed. A colorful and interesting festival is held in North-West Frontier Province in April, in the Peshawar stadium. Events include the Khattak famous dance of the Pathans and musical concerts; tribal people participate in colorful costumes. During Eid, tribesmen gather around the shrine of Baba Kharwari in Ziarat Valley, and wrestling and marksmanship contests are held. A large number of people visit it regularly to offer sacrifices in memory of the saint. The Quaid-I-Azam Residency in Ziarat Valley was Ali Jinnah's residence during his last illness and now houses relics of him and is a highly revered sacred site. It was originally built in l882 by the British and used by the agent to the governor as his summer headquarters. Takht Bhai is one of the holy places of Buddhism. The Buddhist monastery of Takht Bhai stands 500 feet (152 meters) above the plain on the hill. The Buddhists selected this spot to construct a religious complex where the monks and students could pursue their rituals and studies. The main stupa is surrounded on three sides by chapels in which images of both the Buddha and Buddhisattva were installed. Makli Hill, near Thatta town is where more than one million graves of kings, queens, saints, scholars, philosophers, and soldiers are located. Gravestones and mausoleums are considered masterpieces in stone carving representing different eras and dynasties. Death and the Afterlife. Shab-I-Barat is also celebrated as a remembrance day of deceased family and friends. Special illumination of the mosques takes place and food is distributed among the poor. It is also a time when children participate in fireworks. After distribution of the food the Qur'an is read and prayers are said; then most Muslims visit cemeteries and put flowers and lights on the graves of deceased family and friends. At a seminar at Aga Khan Medical University in September of 1998, medical experts reported that perinatal mortality rates in Pakistan were alarmingly high, with an estimated 54 deaths per thousand births. A 1990–1994 national health survey reported that eighty-nine children per thousand under age five died in Pakistan from pneumonia, diarrhea, vaccine prevention diseases, or a combination of them, with most of these deaths occurring in the first week after birth. A number of programs have been undertaken to attack polio; the World Health Organization and Japan have participated. At the end of the twentieth century, there were one hundred thousand deaths from and at least twenty thousand new cases of paralytic polio each year. A survey by the Federal Bureau of Statistics in Pakistan indicated that about 50 percent of the basic health units were without doctors and that about 70 percent of government health facilities are without any female staff. Only about 56 percent of the country's people have safe drinking water and just 24 percent have good sanitation. Programs are underway to expand basic health services for women, develop a women-friendly district health system, and both strengthen and improve human resource capacity to sustain women's health development. Official national holidays include: Pakistan Day, 23 March; May Day, 1 May; Independence Day, August 14; Defense of Pakistan Day, 6 September; death of Ali Jinnah, 11 September; and birth of Ali Jinnah, 25 December. The Awami Mela or People's Festival of Lahore held annually each March, is a six-day pageant that features equestrian sports, cattle displays, and enormous crowds of people. Special events include polo, animal dances, large band displays, acrobatics by camels, dancing horses, parades, and folk dances. Another festival in Lahore is Basant, when the sky is filled with thousands of colored kites in celebration of the coming of spring. The color yellow is associated with the festival, everyone dresses in yellow and mostly yellow foods are cooked. Often a national holiday is declared when Pakistan's national cricket team wins a major international match. Support for the Arts. The Pakistan National Council of the Arts (PNCA) has established the National Gallery, the Sadequinn Gallery, and the National Music and Dance Center. They also regularly hold exhibitions, seminars and theater workshops. In the early 1970s the National Film Development Corporation was formed to use film to make people aware of social and cultural values. The corporation holds film festivals regularly. Literature. Faiz Ahmad Faiz is considered to have been Pakistan's greatest poet, and there is a national holiday celebrating his birth. Pakistan has been referred to as a land of poetry, and it is said that nearly every Pakistani has written some poetry. Graphic Arts. There are a wide variety of graphic art examples, including handpainted clay products, the hand design for batik products, and block printing called Ajrak. Glazed pottery with handpainted designs is common throughout the country, and artistic work in clay goes back thousands of years. Pakistani handicrafts are as varied as the ethnic backgrounds of the craftsmen and include work in wood, beaten brass and copperware, pottery, and jewelry, a wide variety of fabrics that feature embroidery, and the hand-designed carpets for which Pakistan is internationally recognized. Performance Arts. There are so many dance and music performance arts in Pakistan—many unique to the ethnic culture of the performer—that they are almost considered common rather than unique. Music and dance are done in the both classical and folk form. Usually the performer wears a costume that features ethnic design. Just as the costume worn by the performer identifies the tribe or ethnic group, so does the music or performance. For example, while dancing in a circle is the basic formation for Pakistani folk dances, there are also many versions of the Pathans' khattak, but they all begin with dancers in two columns accompanied by pipe and drum music. There is the Jhoomer in Baluchistan, which involves spinning around at top speed, as men do on dark nights by the light of flickering torches. The women of Punjab do the jhoomer in what is referred to as a romantic fashion. Also in Punjab, the juddi starts with girls singing to the beat of a drum; then they join in a circle and start to dance. Still another dance of Punjab is the bhangra which is described as being like rock and roll and which is always done at the beginning of the harvest season. The Ho Jamalo originated in Sind but is popular throughout Pakistan. It is a dance that is performed as part of a victory or celebration. There are four main families of musical instruments in Pakistan and more than six hundred Pakistani musical instruments; the most well known are the sitar, veena, rabab, sur mandal and tanpura. The most popular of all the instruments is the sitar but a two-piece drum, the tabla is reputedly the most important accompaniment for all Pakistani music and dancing. Nearly all the instruments are used primarily for solo performances; the Western concept of orchestral music is not part of the Pakistani musical heritage. However, Western instruments such as the piano, violin, and accordion are now often included in Pakistani concerts because they are adaptable to Pakistani music. Several other musical instruments are used, particularly the dhol, a double-sided drum that is usually hung around the neck and played with sticks, while the dholkit is smaller and played by hand. In addition, the flute is often used. In the social sciences, one of the major concerns is the low rate of literacy in Pakistan. Efforts are being made and outside the educational establishment to address this concern. Another social concern is that frequently young children must work—most often in carpet manufacturing jobs—to supplement the family's income and sometimes to provide the sole income in the family. As a result, the children do not have time to attend school. Efforts made to address this problem have often involved trying to find work for the parents. In the physical sciences one of the largest problems is that because of ever-increasing population growth, natural resources are often misused, with land being lost to desertification, waterlogging, and soil erosion. There is increasing contamination of groundwater and surface water from agricultural chemicals as well as from industrial and municipal wastes. Because of the important role of agriculture in the overall economy of the country, agricultural production is and will continue to be greatly threatened by land degradation unless solutions can be found rapidly. Alichin, Bridget, and Alichin, Raymond. The Rise of Civilization in India and Pakistan, 1982. Cohen, Stephen. Pakistan Army 1998, 1999. Harrison, Selig. India and Pakistan: The First Fifty Years, 1998. Hussain, Ishrat. Pakistan: The Economy of an Elitist State, 1999. Mayhew, Bradley. Lonely Planet Pakistan, 1998. Mirza, Humayun. From Plassey to Pakistan: The Family History of Iskander Mirza, the First President of Pakistan, 1999. Mittman, Kevin, and Mittman, Karin. 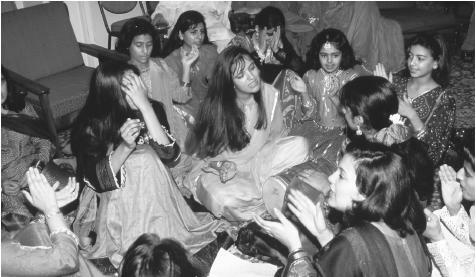 Culture Shock/Pakistan, 1991. Sisson, Richard, and Rose, Leo, War and Secession: Pakistan, India and the Creation of Bangladesh, 1991. Talbot, Ian. Pakistan: A Modern History, 1998.
i have been looking everywhere!!! and once i found this i got everything i needed.. you saved me!! I find it very productive information and it really helps me alot in my assignment. This information helped me a lot. I got to finish my computer project thanks to this. Information at it best.concise ,informative and helpful. this helped out a lot with my social studies project. Thanks for putting this up, whoever did. i just need one last thing. What do people in Pakistan wear as far as clothing goes? This is very helpful. Thankyou. I just wanted to know one more thing that why was the capital of Pakistan changed from Karach to Islamabad? This is one of my Pakistan Studies questions and I haved tried looking everywhere but I can't find any good information so can u kindly help me. I will be very thankful to you. thanks for da enfotrmation yall helped me get an ''A'' on my project on da history of pakistan thanks alot!!!!!!!!!!!!!!!!! this helped out in doing my project..!thanks a lot! I thank u guys so much for this it helped me get project done in history..this really helped me i got my project and essay done because of this information...i just want to know wat did Pakistan wear for clothes??? can you give the cultural festivals of each province. Really good information!!! Religion covered EVERYTHING but i needed to know about clothing for my assignment and theres nothing here on clothing...! wow" one wrods ...Amazing! n i loved this country ^_^ its great n very large country of pakistan.i have come from indonesia. i want to you all of people you give me knowledge about my country thanks to you all may Allah give you all successful! can Pakistan government run without the help of american funding.if yes than how. Thank you very much!I am becoming part of a Pakistani family and it is very helpful since my family is not from close to Pakistan. You have helped me to understand a lot about their traditions and I appreciate it! This was very helpful. Thank you so much for your hard work in collecting the information. I kept thinking "this must have taken them forever to research and write." Thank you for your very much appreciated work and time. Found more of what I was searching for, The information is awesome!!! You Summarized Pakistan well.Information was quiet helpful. i am always eager to know about the history Pakistan and due to this information i am totally satisfied. i want to know that what the history of pakistan tells abuot mahatma gandhi ? great info helped me with my paper alot, but in rural areas the women are treated worse like OBJECTS theres really a two sides to this. I think over all, it's good, very informative, thanks a lot ^^. But I would like to point out: the Qur'an wasn't written by prophet Muhammad (PBUH) himself. It was sent down to him & he memorized it by heart. Arabs at his time didn't rely on writing, they relied on memory; and at that time, people's memory was really good. The prophet (PBUH) was illiterate, so he couldn't have written it. After his death, it was written by his faithful and trustworthy companions. brilliant and clear description of Pakistan-thank you! THANK U!! !this document helped me a lot in my project thanks a lot! AwsOme information about culture of pakistan , i like it :) Amazing . Its very vibrent and exclusive site providing detailed info about pakistan and its culture. in pakistan there is much more literary work going on , in urdu , and all other pakistani languages like punjabi, sindhi, pushto and balochi. besides poetry many individuals are working on other sides of literature like novel, drama, short novels and so on . Lots of elaboration! But could use updating some updating on other information. Such as, foods, culture, what they like, what they don't like, etc. But overrall, this is a 6 out of 10.
this article is informative but i come here to search cultural dresses which is not found there. very informative i learn a lot! I hope more information more especially in there cultural dress @ dishes also! Thank's! it is an informative page and it really helps me for my assignment. its really a great work and very true picture of PAKISTAN. i appriciat you guys. well done and keep it up. This website was very helpful but it could use more information...What kind of people live in pakistan? I like this, this is very helpful to know the culture of pakistan. i want to know about the general values of pakistan and how much values have changed? Thank you for visiting my website 'Pakistanpaedia" and leaving your valuable comments. Although, I have tried to include much on every facet of life of people of Pakistan, I agree lot more needs to be done. Your research on Pakistan is astounding and I will definately take a sue from here to make my site wholesome and informative. i have boyfriend.. he is pakistani from gujranwala.. i am indonesian.. can i marry with pakistani?? or pakistani marry only with pakistani?? Thanks a lot!! It really helped me for my counrty project for social studies. I was trying to find in other sites the Arts and literature of Pakistan, and here I found it. What type of clothing do they wear? And what is the transportaion systems like and the education system? all over the tradition and cul;ture of pakistan is very old its countless in the history of the world, since the existance of the sub continant and too before that its time line is coming, the big thing is that any thing which has existance that changes with passage of time but the culture and traditions of pakistan are coming since that time from where it took birth and coming up continuesly till today. the coustoms of the areas in pakistan are some a bit cahnge on the basios of locality & ancestoristism all are very joy full. you need info on culture issues. other wise Great!!! THANK U FOR THE INFORMATION ABOUT PAKISTAN. I JUST WANNA KNOW IF MUSLIM PEOPLE IS LEGAL TO THEM HAVING ANOTHER WIFE? OR I CAN SAY IS THERE ANY LIMITATION FOR HAVING MANY WIFE IN THEIR LIFE? This is really an informative article about pakistan and pakistani culture. I learn a lot from this and get benefit. Actually lot of people want to know about pakistan even pakistanis don't have a knowledge about their beloved country. I am thank to all who co operate in this useful work. Thanx it is v informative I hope u keep on updating it. i love pakistani culture.Thans it is informatiion I hope u keep on updating it. Woah, thankyou! This really helped :') Being a school student, this is basically all I needed. i realy learnt a lot from this. very informative covering almost all the area for Pakistani culture, tradition politic in very summerized form. That u say about culture of pakistan is much postive. pakistan is the country of diverse cultures and traditions. it is an informative article, from which i have learnt many more. i have learned more then history class this is so good every one should use this :)!!! A very informative site which will help me alot with my project about pakistan.Great work. Asalam_o_Alaikum !This is more informative for me Fanx a lot . i like pakistani culture . pakistani culture is the most beautiful culture . This comment is very important. I'm new at this and I'm only in Middle School. I found this report to be very helpful and informational. Thank you for making my first time doing research worth waiting for. This is very informative for me thanks.IT HELP ME A LOT. hi, i am from pakistan and i really like. I will give you 10 out of 10. Helpful Pakistani information for use in an assignment. I would like to reference this source (APA) to acknowledge such a useful article. Please provide to add as a reference. Thank you. You guys did a great job. It helped me a lot while gathering information about what is essential while teaching social studies in Pakistan. Graet work. It does need some attention in music, and liberal arts area where there is a long tadition. Also science and culture a place where there is a history of innovation for thousands of years including one nobel prize in science in recent history. Also anitiant cities (from thousands years ago cicilizations) like Indus civilization, Mohingo daro culture and others needs to be mentioned. Muslim influences to teh society and great Mughal empire should be mentioned in more details. I admire the efforts but hope some additions can be made to be more inclusive. Under "Linguistic Affiliation" heading the language name has a spelling error, it should read as "Punjabi" not Punjaki, this is the language spoken in teh largest populated province of Punjab. Nice job writer, I would appreciate if you please keep updating the history. you may hire free lancer writer to upload the information or make it wiki-editable by registered users, so that masses may share their personal experiences as well. This website is amazing! I have this boring ABC book for world geography and mine is on Pakistan; ALMOST EVERYTHING I needed was on this one website! I owe you so much. Next time try to touch on more fun stuff and not as much economy. Again, thank you! You should start your own online encyclopedia that's is more trustworthy than wikepida. Just an idea! Great information. I almost have my five pages written. Thank you so much! it's a comprehensive sort of information.it defined the complexity and diversity of culture in true meanngs bt i hve useful suggestion for you that this article wl prove more effective through illustrations.so u must work upon it. this is a great website!! i have got much information from this website, so thank you so much and make it more informative. Thanks it gives me idea for my upcoming wedding. And know more about my future husbamd. It helps me to decide. Thank you very much.The author gave us full information about the country from its geographical location down to its history of the people,government,economy,project of improvement ,main industries,agriculture,way of life of the people,religion,cultures sports,literature.Different main cities and from the old capital city to the new capital.More important that pakistani people is a mixture of different tribes. hello culture of pakistan,God Bless You.i am so happy that my country is a great culture,and good things for eating,cold and hot seasan all the year avilable.beautifull Pakistan i love you more . I LOVE MY BEAUTIFULL COUNTRY PAKISTAN culture of Pakistan I am so happy that my country is a great culture and good things for eating thanks beautifull Pakistan. wow i never knew that much about my culture and thanks for all the positive input this really helped. very helpful and needed information. i also read british, australia, pakistan,chakmas culture. you people should paste this in news papers and T.V. I found very informative very good article they need some changes with the passage of time (population ). Who is the author of this article? When was it electronically published? This has helped me a lot because I've been struggling to find the right website so thank you very much. I have no real comment I just wanted to post something random. so i didn't really read this, but it sounded pretty good. Hug Mon i want money,like lots of it, but ur website sound like a scam. I feel like you should just deliver the money by hand. Here is my address. Somewhere in the world, Earth, The solar system, the milky way. How do people in Pakistan live?/What is there lifestyle like? hi, I'm going to marry Pakistan man, is it true that Pakistan man are honest and love their partner too. I am from Malaysia. I'm worried because our age range is far too different, and I have also experienced household failure twice. hi liana, It is true that Pakistani men are honest but remember that not all of them. So as a Pakistani I would like to advise you please have a plan B in your mind. If you need any info feel free to get in touch.